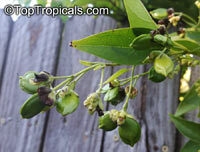 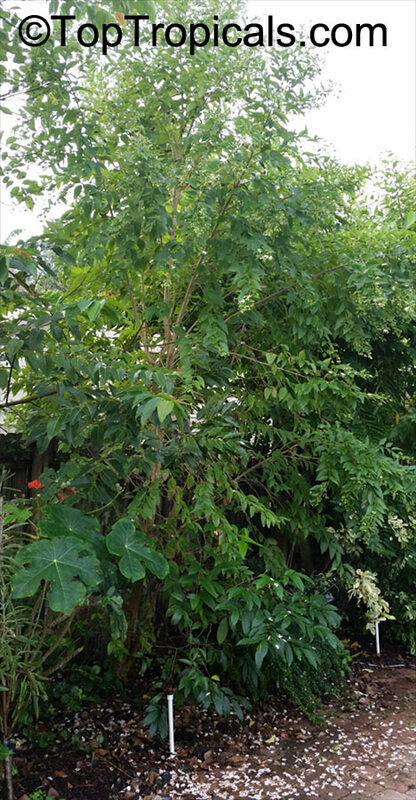 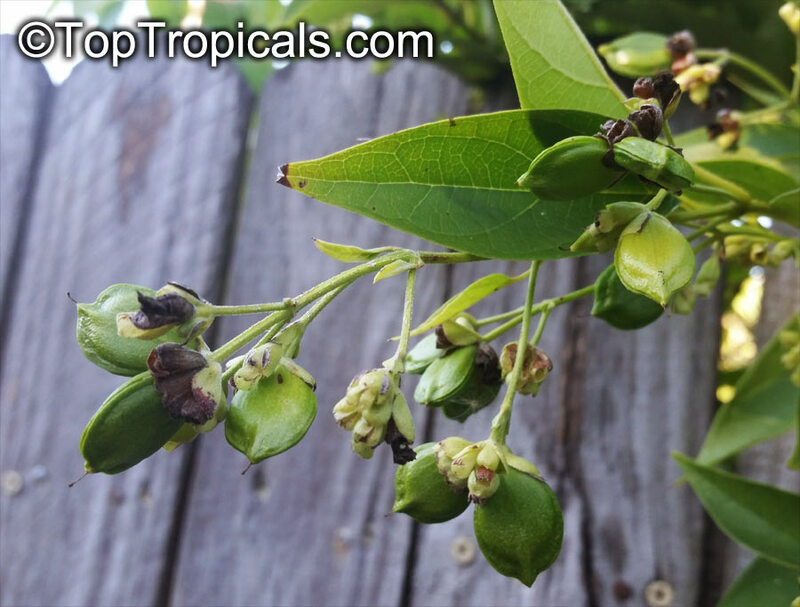 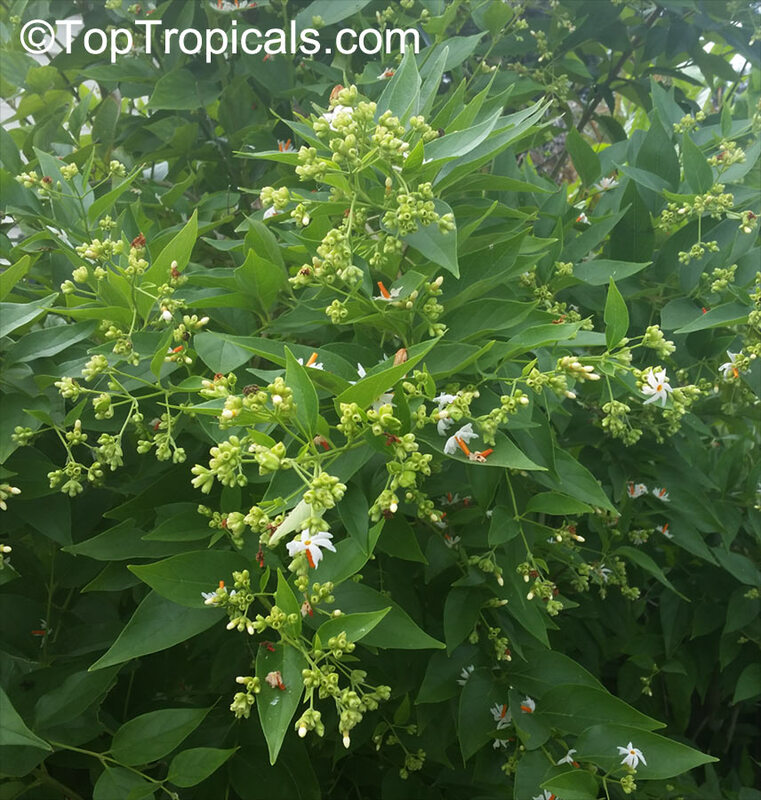 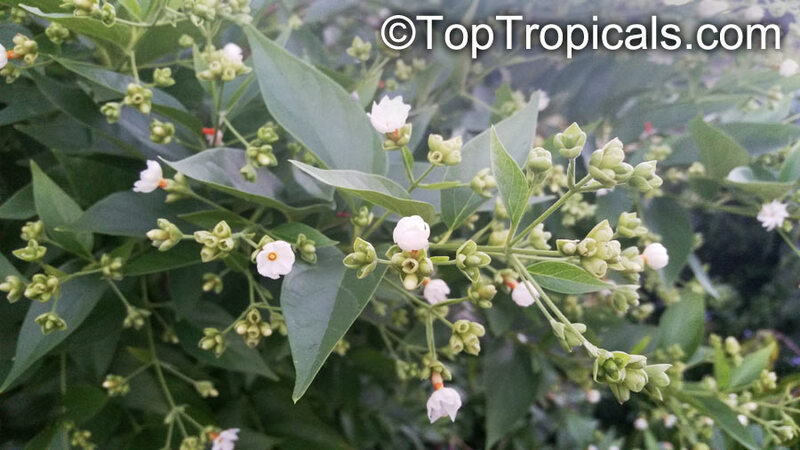 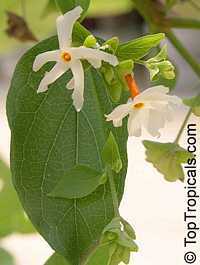 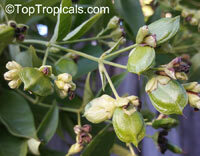 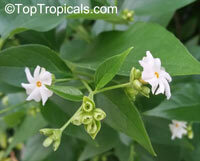 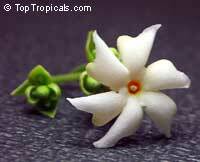 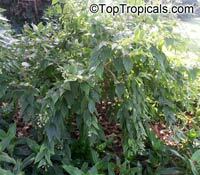 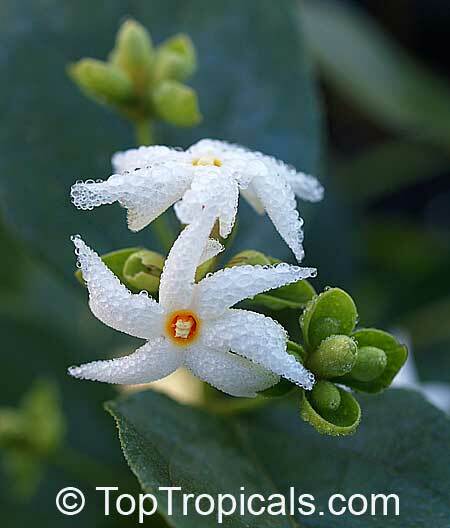 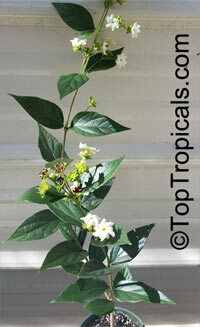 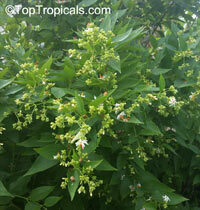 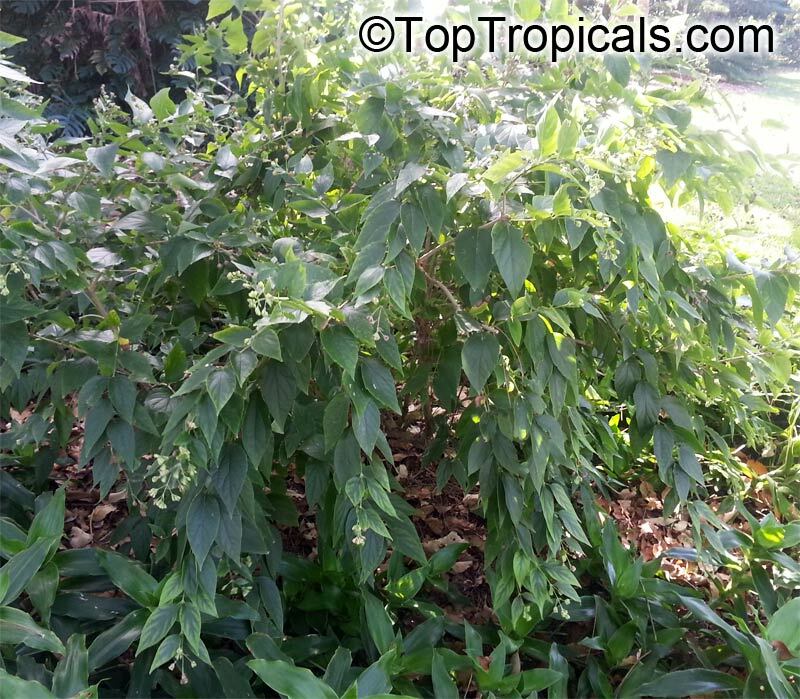 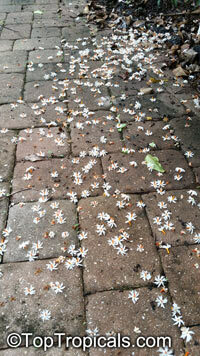 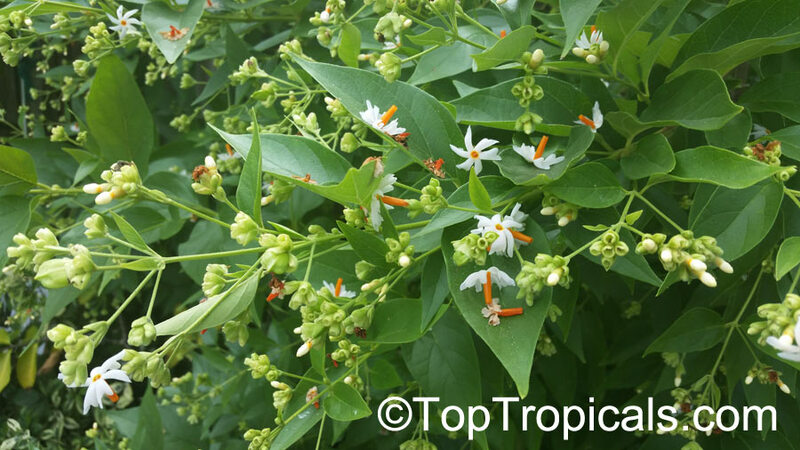 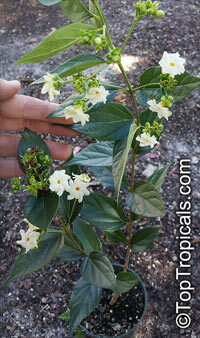 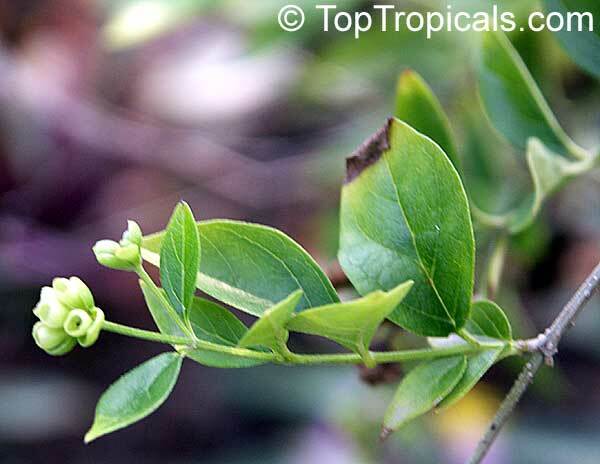 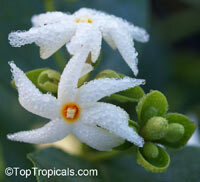 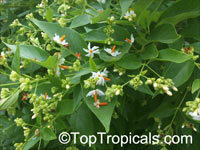 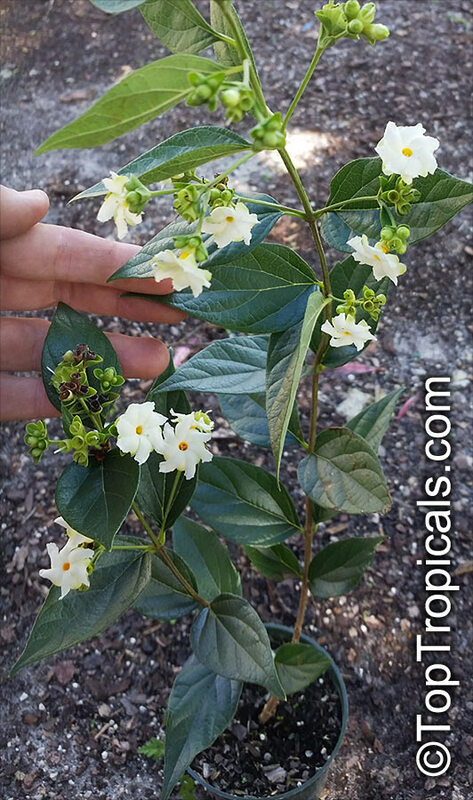 This exotic small tree or shrub has highly perfumed flowers. 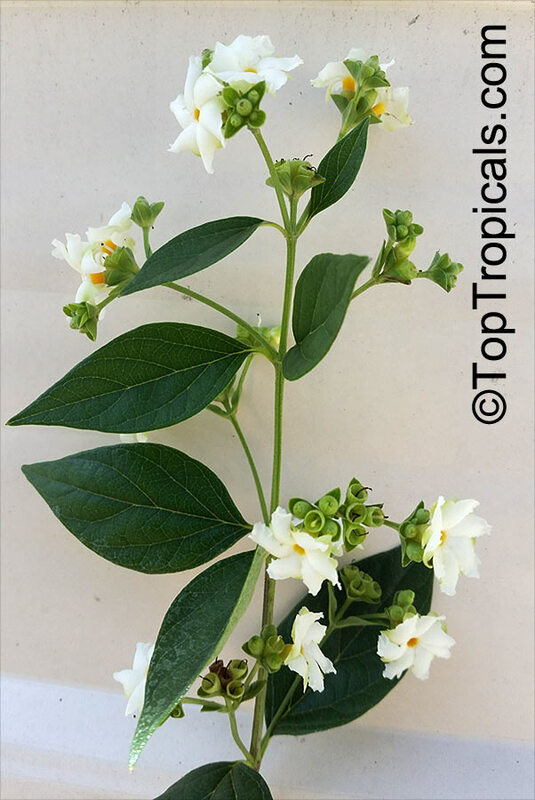 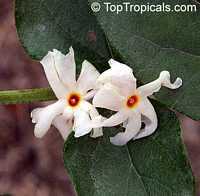 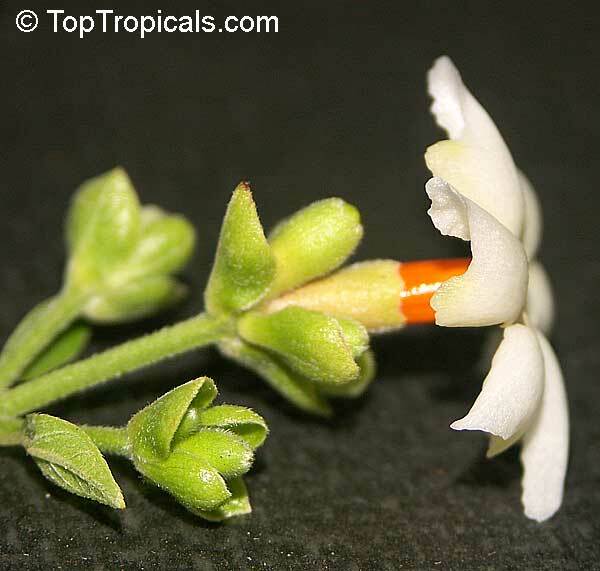 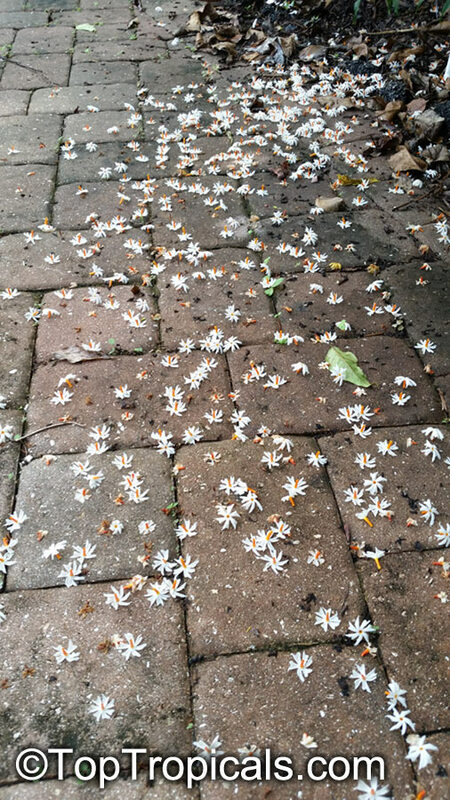 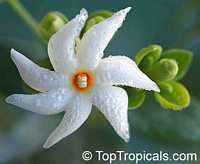 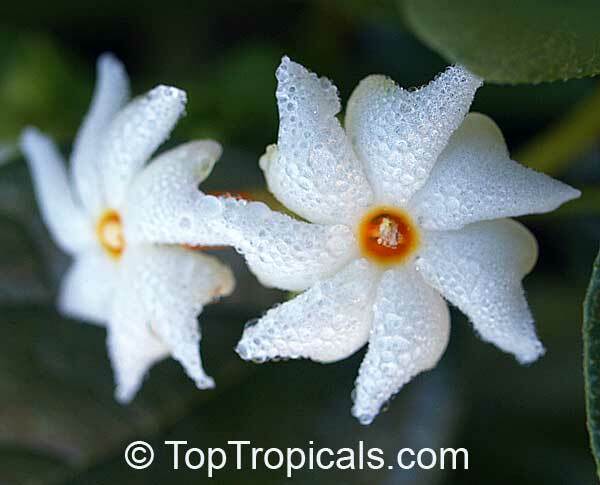 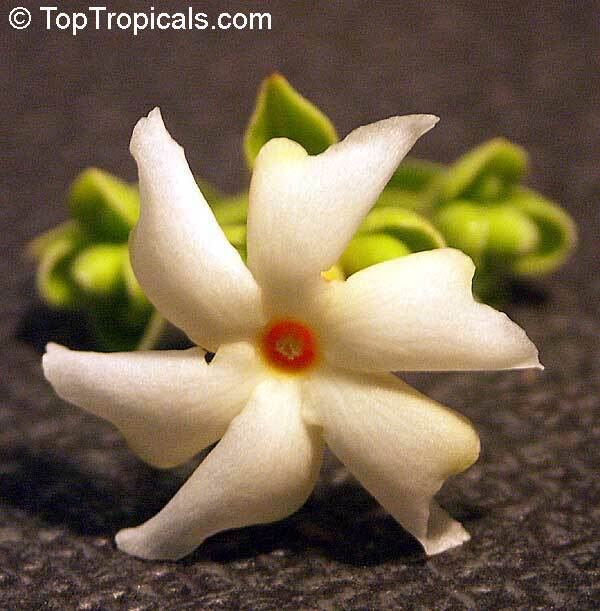 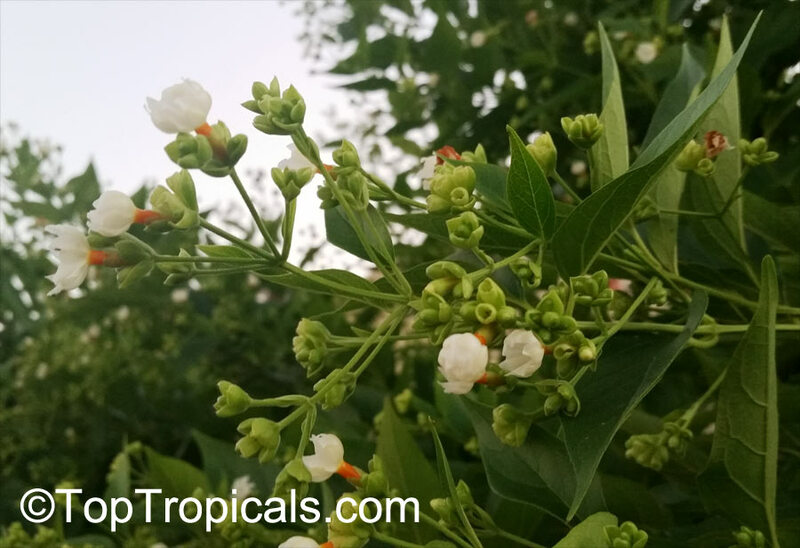 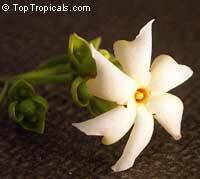 The sweet scented flowers are small, 1-2", attractive shape, with white corolla and an orange-red tube in center and bloom profusely, opening at night and casting off in the morning thus making a carpet of flowers. 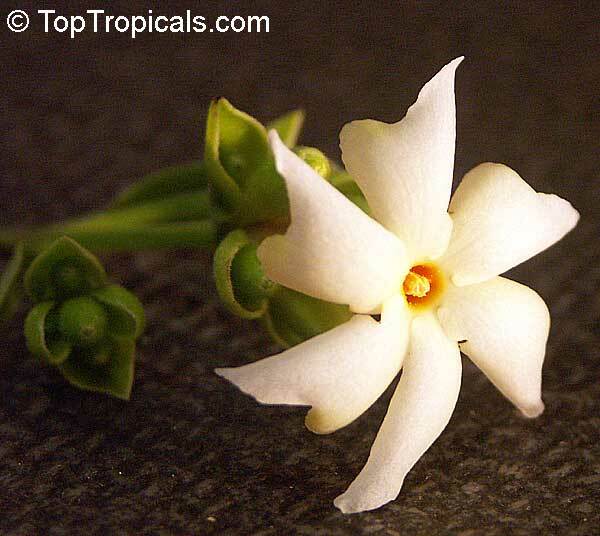 Used in Buddhist temples, for worship. 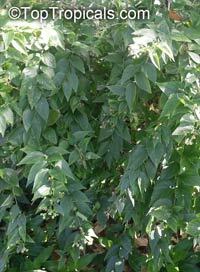 The large attractive leaves are rough and hairy. 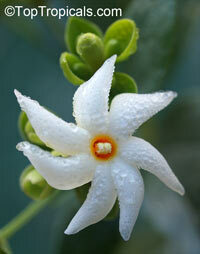 Use well drained soil and fertilize once a month. 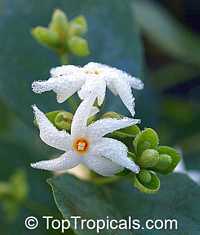 The plant seems to be pretty cold hardy, mature plants survive light freeze for a few hours without significant damage. 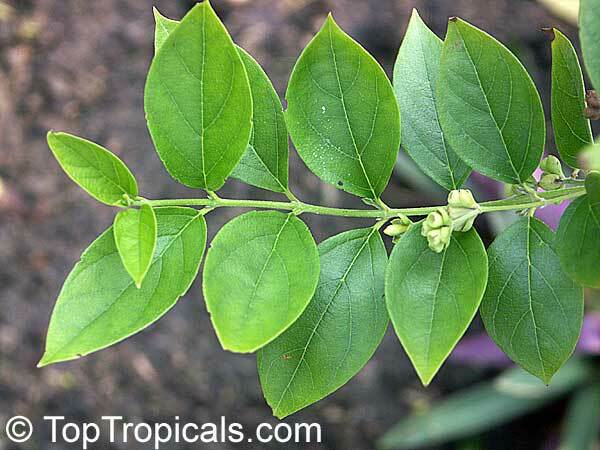 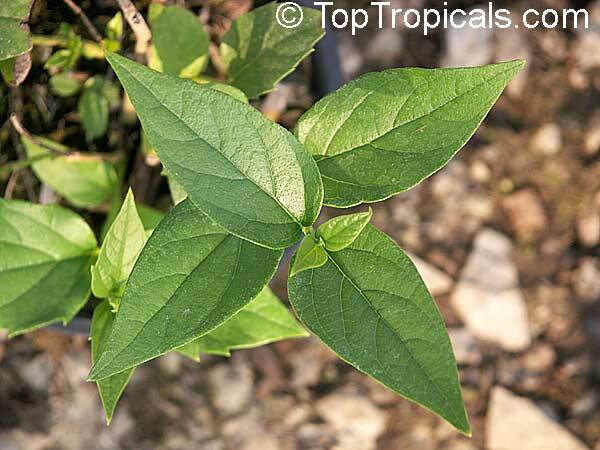 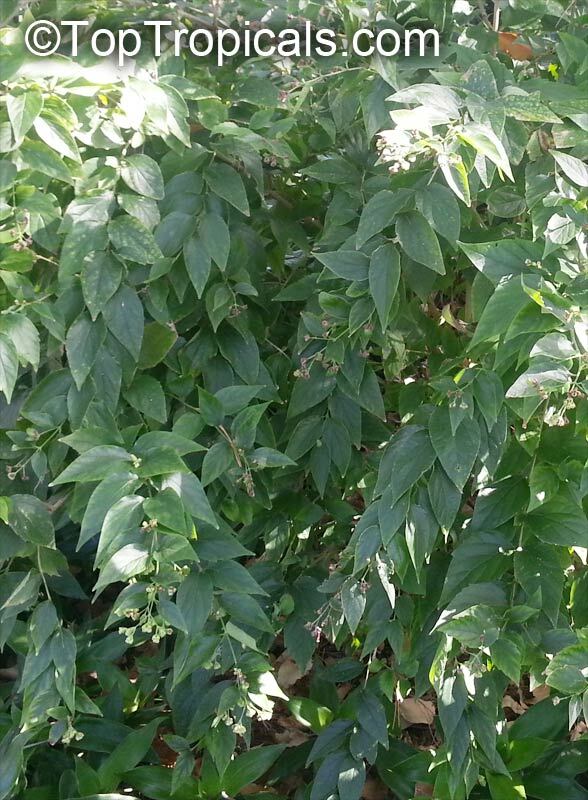 Stem is used for relief of headache, leaf - cholecystagogue, flower - antipyretic, treatment of faintness and vertigo. 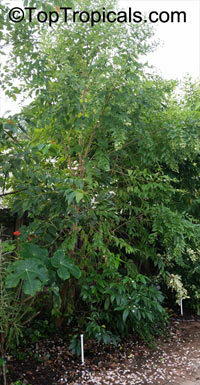 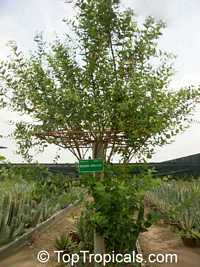 According to mythology, this is a heavenly tree brought to earth by the god Krishna. A quarrel over it ensued between Satyabhama and Rukmini, Krishna's wives. But Krishna planted the tree in Satyabhama's courtyard in a way that when the tree flowered, the flowers fell in Rukmini's courtyard. 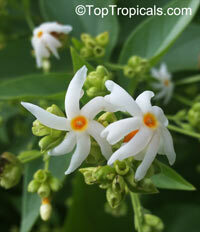 Another romantic story woven around the tree is about Parijataka, a princess. 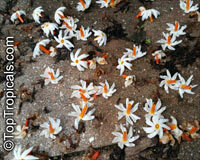 She fell in love with the sun but when he deserted her she committed suicide and a tree sprung from the ashes. 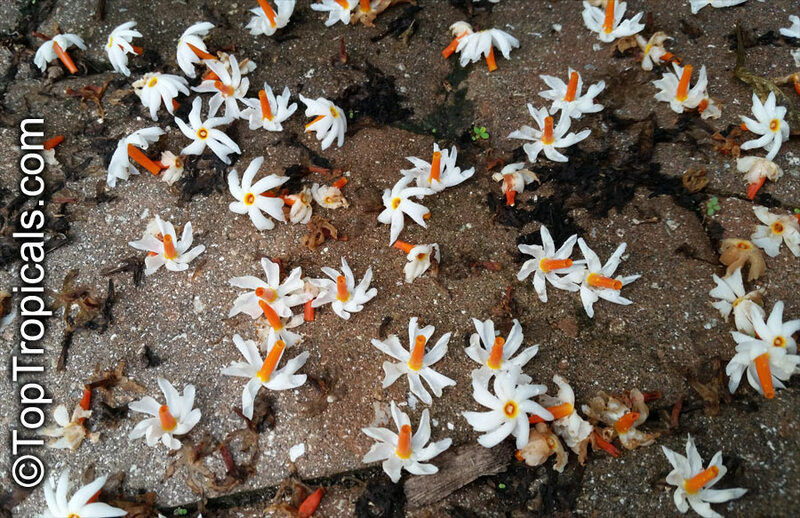 Unable to stand the sight of the lover who left her, the tree flowers only at night and sheds them like tear-drops before the sun rises.